Trainer Brendan McCarthy believes Divine Mr Tycoon, who makes his first appearance as a three-year-old at Moonee Valley, is up to spring class. Trainer Brendan Mccarthy has spring carnival aspirations for Divine Mr Tycoon who will try to kick off his three-year-old season on a successful note at Moonee Valley. Divine Mr Tycoon resumes in Saturday's Essendon Mitsubishi Handicap (1000m) having finished second and fourth respectively in his two starts as a juvenile before a spell. McCarthy believes Divine Mr Tycoon has the talent to head towards some feature races against his own age in the coming months. "I think he's definitely up to spring class and he'll be making his mark in the better races on the way through," McCarthy said. "He's probably showing too much brilliance at the moment to think that he would get to a Guineas or anything like that, which originally I was probably hoping for. "But there's still some very good races over the shorter distances for the three-year-olds. So if he isn't showing those signs after the first few runs we can just stick to the sprints anyway." McCarthy brought Divine Mr Tycoon's race return forward a couple of weeks after being pleased with his recent jump-out at Caulfield under Damien Oliver . 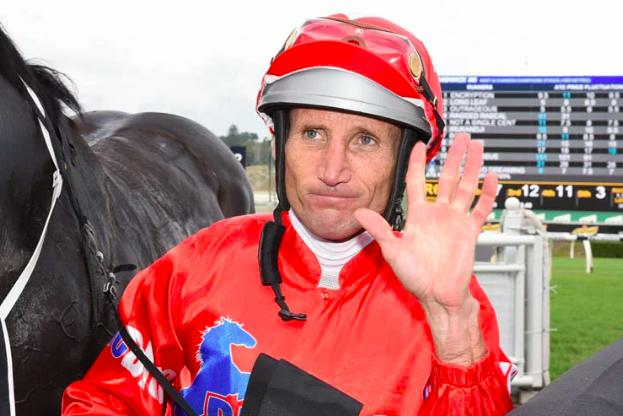 "I was intending to give him another jump-out and go to the Vain Stakes first-up but when I saw this race, and after he trialled so well, I thought I'd give this race a crack first-up and use it as a lead-up to the next one," McCarthy said. The John Price-trained All In Brawl , a winner on debut on the Geelong Synthetic track, was the $3.10 favourite on Thursday ahead of dual stakes placed Godolphin colt Sanglier ($3.50) and Divine Mr Tycoon ($5.50) in the field of eight. Divine Mr Tycoon was runner-up on debut at Moonee Valley in March before having a wide run in the VOBIS Gold Rush at Bendigo in April when fourth. McCarthy said it would have been ideal if Divine Mr Tycoon had had another jump-out but he still expects a good first-up showing. "If he had have been going to a maiden somewhere there's no doubt he just would have been too good for them but going to these races you have to be pretty close to the mark because there's a couple of pretty handy ones in there," he said. "But I think he's taken a lot of benefit from the jump-out and he is definitely good enough." McCarthy has Petite's Reward resuming in Saturday's GeckoSports Handicap (1000m) and believes the mare can be "right amongst it" after two jump-outs.